With no less than 231 pipeline accidents in the United States over the last decade resulting in environmental devastation that as of yet has not been fully grasped, the question is not if but when the Keystone XL Pipeline will leak into the Ogallala Aquifer. This body of water is one of the largest clean underground water sources in the world, and accounts for 30% of the ground water in the United States used for irrigation. 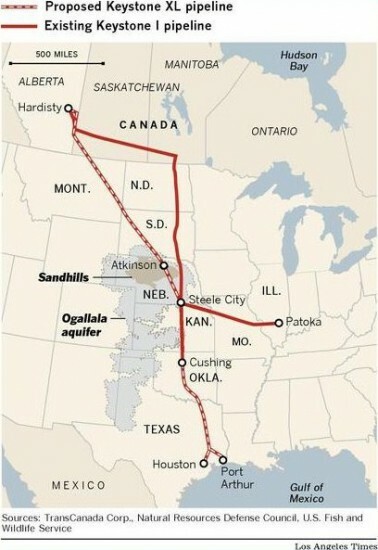 The proposed addition to the Keystone I pipeline will run the length of the country straight through the mid-west states, Texas, Oklahoma, Nebraska, the Dakotas, and Montana, moving it even further west and directly over the Ogallala Aquifer. 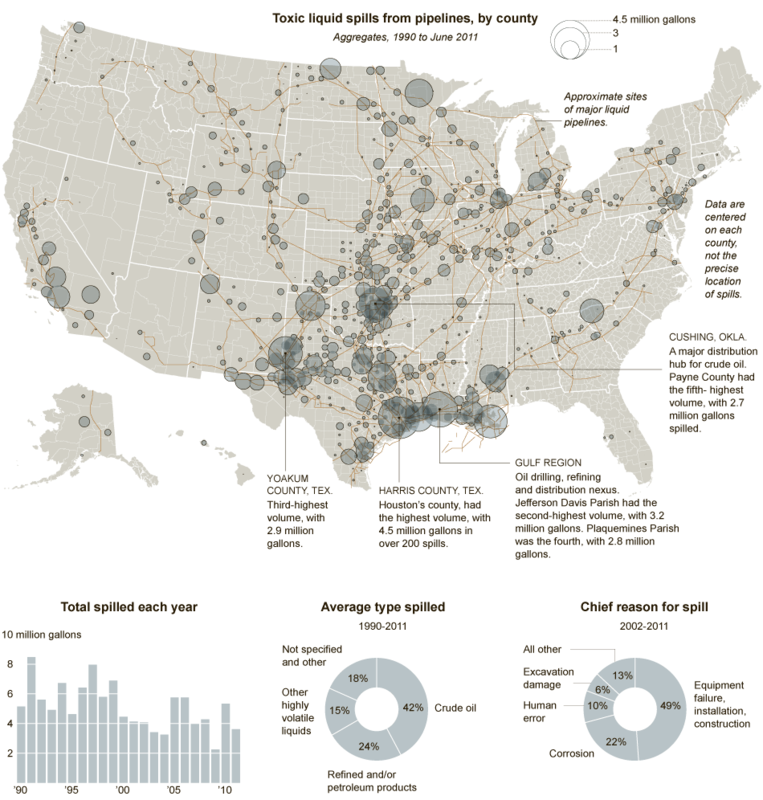 And keep in mind that wherever there are pipelines, there are leaks, as the diagram above illustrates. The oil and gas industry will be quick to point out that fossil fuel production is about mitigating risk, not eliminating it, and that there is no such thing as a completely safe source of energy that will meet the demand. The industry standard for levels of safety is clear. One need only look at the number of environmental catastrophes that have occurred over the years to understand that what they are actually saying is that this level of biological destruction is to be expected and is the cost of doing business. This begs the question: What good are the jobs and energy created by the oil and gas industry if we don’t have clean water to drink?